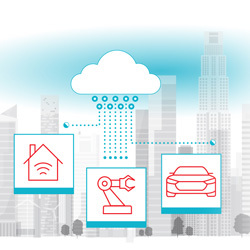 At electronica 2018 Texas Instruments will show it is ‘designing tomorrow’ for the automotive and industrial markets through advancements in analog and embedded processing ICs. The company will be showcasing technology for the future of smart driving, smart buildings and smart factories with interactive demonstrations and presentations. The company will present advancements in vehicle electrification, the connected car, the digital cockpit, autonomous driving technology and more. The demonstration will highlight innovation for off- and on-board charging of EVs, lighting, interior body sensors, and ADAS. The company will show how companies can include intelligent detection, using next-generation sensing capabilities and connectivity technology that supports multiple wireless protocols, including Bluetooth, Thread, Zigbee, WiFi and more. In the company’s Industry 4.0 demonstration area, visitors will be able to see what’s next in industrial automation, robotics, predictive maintenance, machine vision and more. The company’s engineers will showcase GaN technology innovation for power design, ultrasonic sensing, and hands-on demonstrations featuring their SimpleLink MCU products.